The Cranbrook Days Inn @cranbrookdaysinn has undergone extensive renovations over the past few years. In Fall 2016, Jennifer Bouchard arrived as the new General Manager over-seeing the building of a games room, guest laundry room, grand ballroom and Fisher Peak room. A completely renovated lounge, now called Patio Lanterns Cafe & Lounge, is rounding into shape with a gourmet kitchen that includes an in-house smoker. Head cook Jason Summers looks after the growing menu along with the mesquite smoking of all chicken, beef brisket and pork ribs. He’s the pit master. She added, “We also have a beautiful dessert menu.” It includes churros with Happy Cow ice cream topped with caramel sauce and a giant chocolate chunk cookie, both made in-house. How about chocolate covered strawberries or a chocolate brownie. Gluten free options include chocolate or strawberry layer cake. Patio Lanterns is developing a margarita menu showcasing a variety of smooth silky cocktails. If that’s not your fancy, then maybe a Fisher Peak craft beer or something else from the bar menu. Patio Lanterns can also be booked for private parties or company functions. With several corporate Christmas parties already booked, the big event will be a New Years Eve ball. The Black, White and Gold Masquerade Party is you’re chance to ring in 2019 with style. The $40 per person covers “taco bar, appies, a mask, DJ and of course champagne at midnight.” Call 250-426-6683 to get your tickets. Bouchard selected POS-n-go and the PayPoint all-in-one POS combination to track the Lounge’s sales, inventory and staff time. The Lounge also uses two portable tablets for fast table side ordering. Patio Lanterns staff “like the tablets” as they speed up the ordering process. 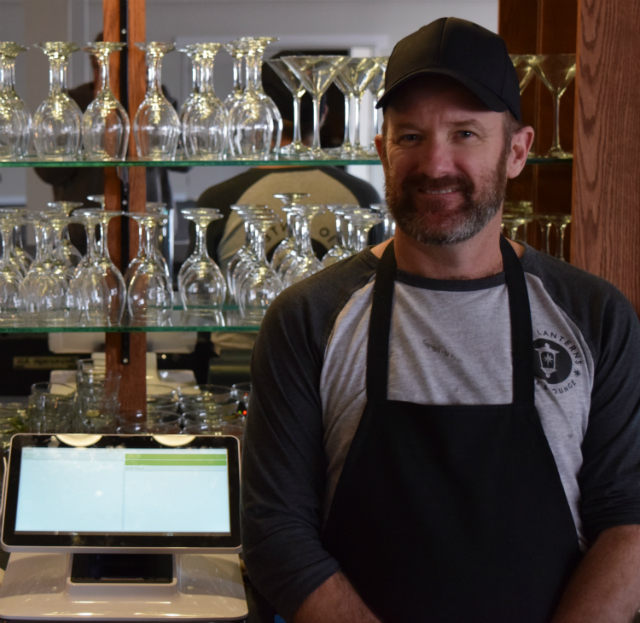 One of many features Bouchard likes is “how easy it is to load and update new [menu] items.” With an evolving menu and daily specials, the ease of adding food items makes the lounge run smoothly with no down time. Check Patio Lanterns social media for daily specials. Open 11:30am to 9pm, Tuesday to Saturday. Located inside Cranbrook Days Inn.